The 2017 Mercedes-Benz C-Class Sedan offers performance that reaches beyond the standards set by even its luxury competitors. With four power options and a whole host of pioneering performance features, you can expect to surpass expectations and enjoy every drive to its fullest possible potential. Learn more before heading to RBM of Alpharetta for a test drive. As befitting its status as a world-class luxury vehicle, the 2017 Mercedes-Benz C-Class Sedan delivers an expressive and engaging ride through one of four power options. 2.0L Inline Four-Cylinder Turbo: Even the standard engine employs multispark ignition and high-pressure Direct Injection to deliver up to 241 hp and 273 lb-ft of torque. Variable timing of all 16 valves combines with 3-phase cooling for reduced emissions. 3.0L V6 Biturbo: A string of AMG® enhancements boosts your output up to 362 hp and 384 lb-ft of torque, ensuring a zero to 60 mph time of just 4.6 seconds. 4.0L V8 Biturbo: Handcrafted and signed by a single craftsman, the 4.0L harnesses up to 469 hp and 479 lb-ft of torque, making zero to 60 in just 4 seconds while ensuring 38% greater fuel efficiency than its larger predecessor. Upgraded 4.0L V8 Biturbo: The upgraded V8 engine will floor even the most jaded driving purist with an output equal to 503 hp and 516 lb-ft of torque, plus a 0 to 60 time of just 3.9 seconds. Regardless of your chosen engine, the Mercedes-Benz C-Class Sedan provides immense power tamed by a sophisticated 7G-TRONIC 7-speed automatic transmission, which uses two overdrive ratios for enhanced highway efficiency, adaptive logic to suit your driving style, and shift paddles to let you take command. While the engine will form the heart of the C-Class, a score of performance features assist to take your ride further beyond the reach of the competition. DYNAMIC SELECT: This multimode drive program allows you to cycle between ECO, Comfort, Sport, and Sport+ modes, varying shift points, throttle response, steering effort, and available AIRMATIC® suspension in the process. Torque Vectoring Brake: Targeted rear-wheel braking and intelligent torque distribution keeps your vehicle steady through corners. AGILITY CONTROL®: Automatically adjusts individual shock absorbers based on current road conditions, automatically firming for sharper handling or reducing damping for a smoother ride. When it comes to performance, nothing else in its class rivals the 2017 Mercedes-Benz C-Class Sedan. 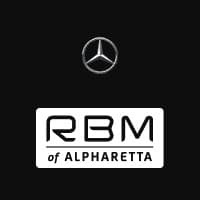 To experience it first-hand, don’t hesitate to contact one of the team here at RBM of Alpharetta to arrange a test drive.